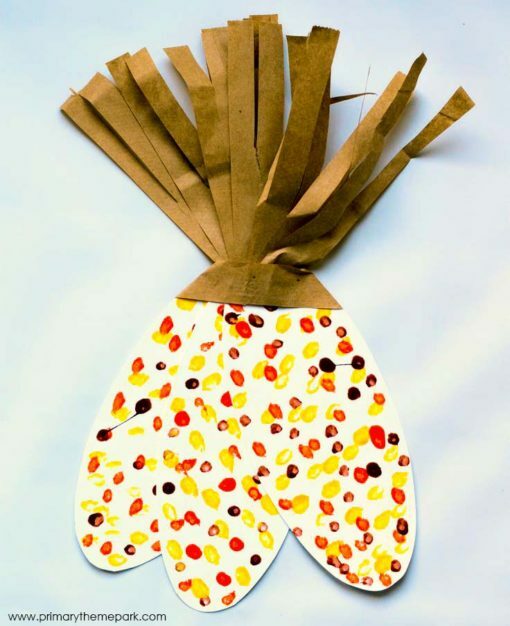 Hot off the heels of one holiday, it’s time to get ready for the next one: Thanksgiving! 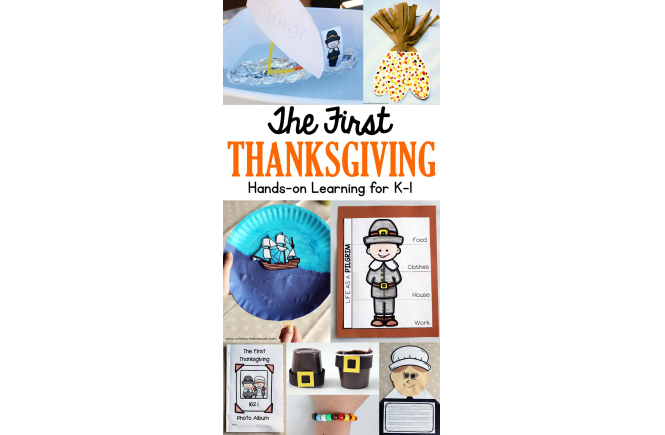 I recently finished creating a first Thanksgiving Unit for Kindergarten and First Grade that I can’t wait to show you. Students sail on the Mayflower and experience life as a Pilgrim and Native American during the week-long unit. Here’s a peek at each day! 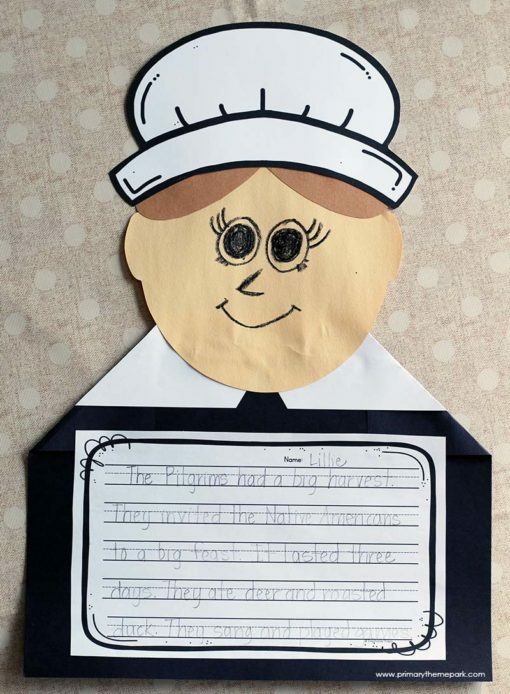 The first day begins with the Pilgrims’ journey on the Mayflower. Before reading, students share about a long trip they’ve taken. Then, after reading the book, On the Mayflower by Mark Greenwood, students make a moving Mayflower craft or complete a Mayflower STEM challenge. 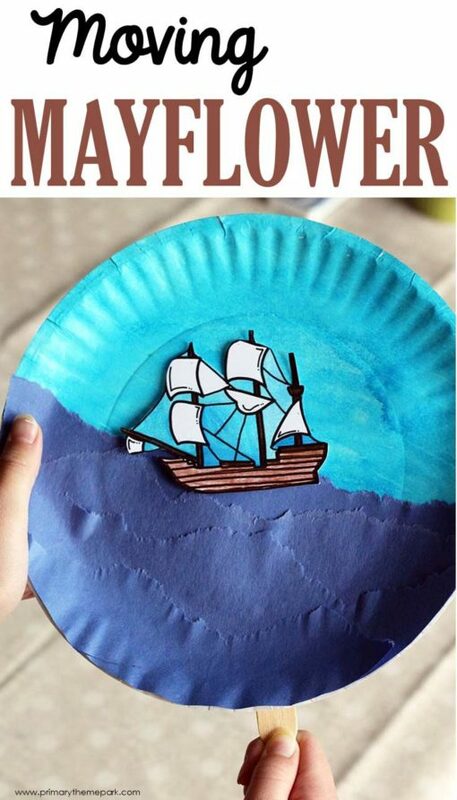 Click on the picture below to see the moving Mayflower craft step-by-step and download a free printable template to make it! Sarah Morton’s Day or Samuel Eaton’s Day by Kate Waters are perfect books to read for learning more about life as a Pilgrim. 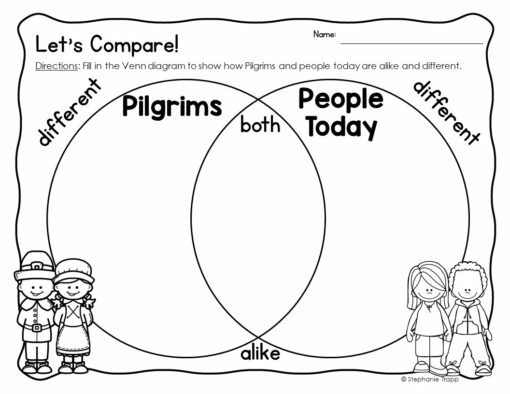 Students compare and contrast Pilgrims with people today and display what they learned about Pilgrims with this cute lift-the-flap writing activity. 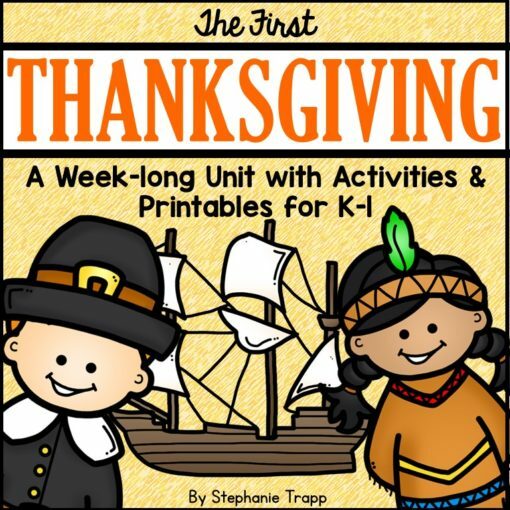 The Wampanoags played an important role in the Pilgrims’s survival that first year. 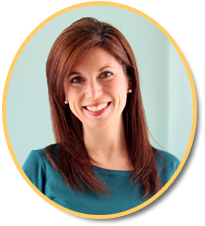 Students learn more about their way of life from the book, Tapenum’s Day by Kate Waters. 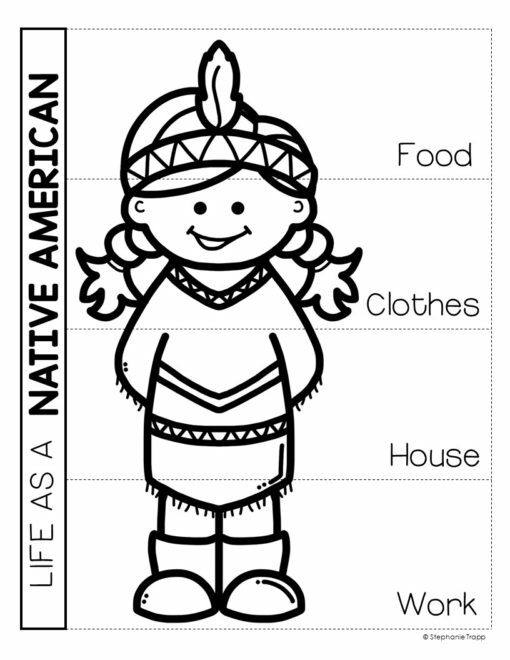 Students record what they learn about Native Americans on a lift-the-flap writing sheet similar to the one on day two. They make an Indian Corn craft and play Native American games. The Pilgrims’ bountiful harvest after the long, hard winter gave them a reason to celebrate. The Pilgrims’ First Thanksgiving by Anne Mcgovern recounts the three-day feast. I kind of got a little crazy with day four. Lol. 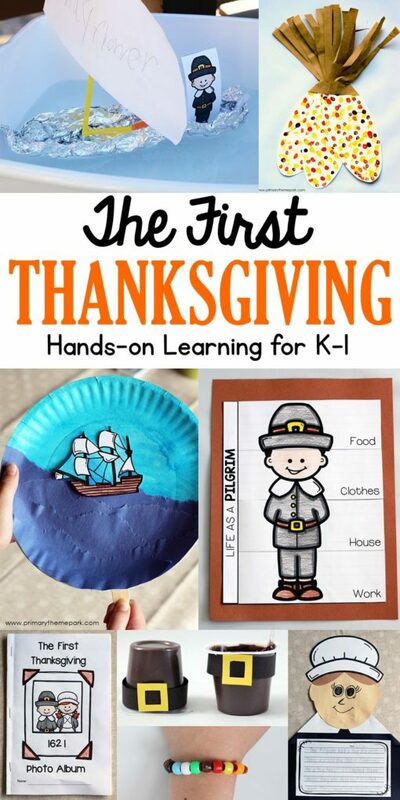 There’s so many wonderful learning activities to do with the first Thanksgiving that I couldn’t just pick one or two; I included four! 🙂 Do what you have time for and what works best for your students. 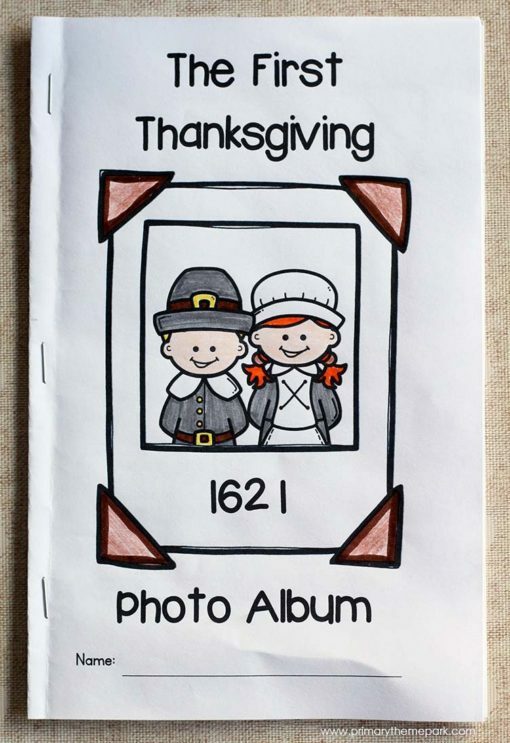 Students pretend to be a photographer at the first Thanksgiving. They draw pictures and write about what took place. 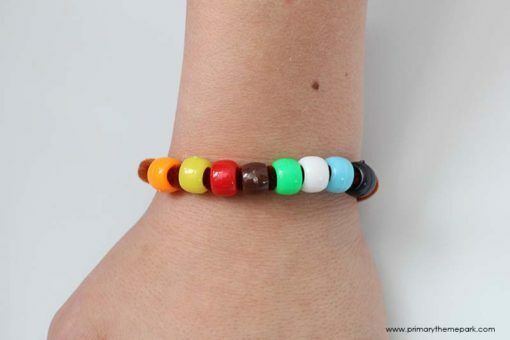 Guide students in retelling the events of the first Thanksgiving by making these Thanksgiving story bracelets. Each color represents a different part of the story. Conclude the week by discussing how we celebrate Thanksgiving today. 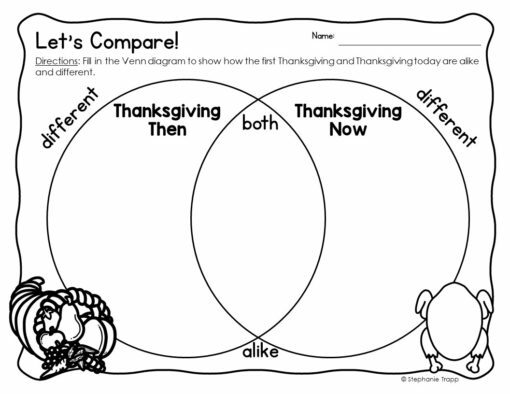 Compare and contrast our Thanksgiving traditions with the first Thanksgiving feast. 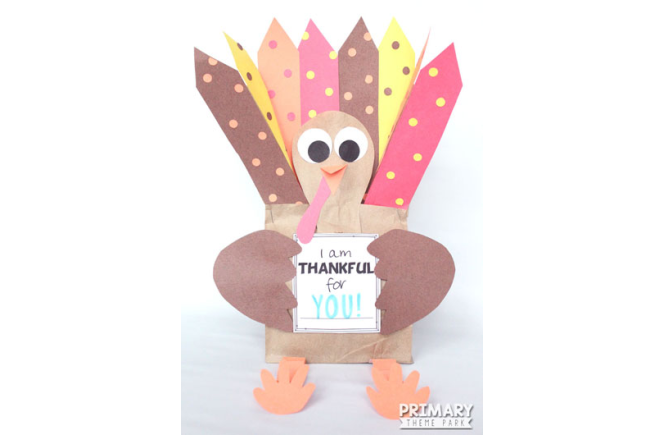 Have students share things they’re thankful for and create an adorable stuffed paper bag turkey to display their answers. 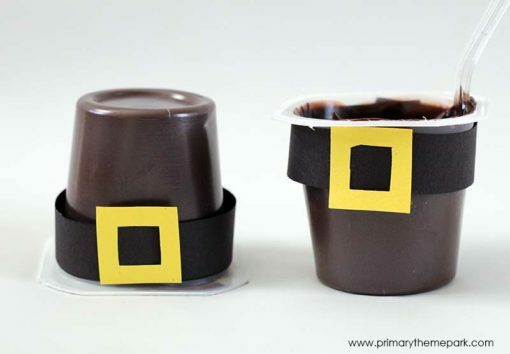 Eat Pilgrim pudding and play “Flying Feathers” to end the week with a treat! 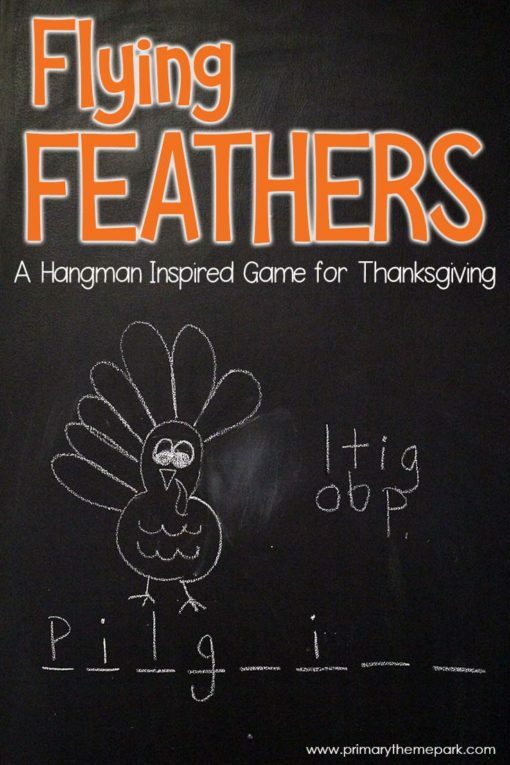 Your kids will LOVE playing “Flying Feathers”, played like the traditional game, “Hangman”. 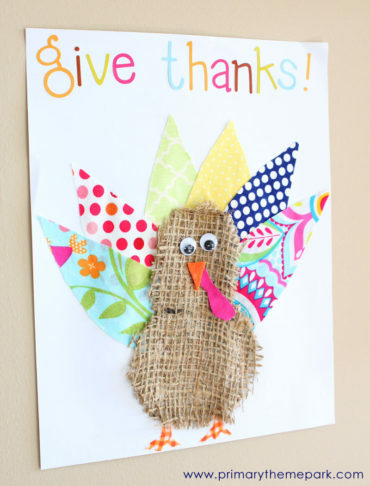 Draw a turkey on the board with ten feathers. Draw 12 lines representing each letter in the word “thanksgiving”. Have students try to guess the word by calling out one letter at a time. 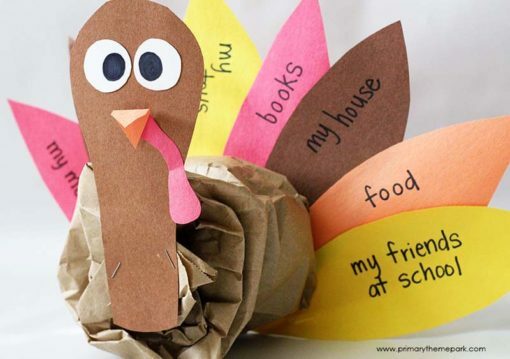 If a letter is called out that is not in the word, erase a turkey feather. Students try to guess the word before all ten feathers are erased! 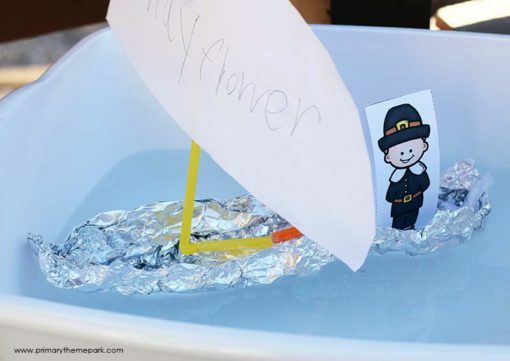 Play more rounds with other Thanksgiving themed words like Pilgrim, Mayflower, Squanto, feast, etc. To use this game as an end of unit review, have students tell one thing they learned about each word they guess. Phew! What a fun week! Learn even more about everything in this unit by clicking on the picture below. Thanks for the awesome resources!